Everyone at Windham Weaponry wishes you a very Merry Christmas, and a Happy and prosperous New Year! We’ll be at SHOT Show in Las Vegas (Booth 10376) from January 19th to the 22nd. If you’re attending that “industry only” mega-show, we’d be pleased to have you stop into the booth and say hello. For the rest of the month of December we’ll continue to offer special 20% Off Daily Deals on our website, and 10% Off all retail items (with free ground shipping on orders over $50.00). The Store is packing with all sorts of shooting, hunting and fireams maintenance needs, and the latest rifles, pistols & shotguns from Windham Weaponry, Glock, SIG, S&W and many others, Christmas shopping anyone? And our state of the art 12 lane, 25 yd. Firing Range is fully operational and ready for your next practice session, recreational outing, or maybe even a corporate event! We’re conveniently located in the Windham Business Park on Rte 302 in North Windham. Windham Weaponry “SRC” – a longtime best-seller! Also for gunsmiths that are trying to remove the barrel on a Carbon Fiber rifle, it is important to have the upper on a barreling device that engages the lugs in the barrel extension. The clamp style vise blocks will not fit the Carbon Fiber upper, and you should never secure the upper by only the upper receiver takedown and pivot pin lugs. Torqueing against the lugs is likely to cause damage to the receiver.. When we barrel the uppers at the factory we only use barreling spuds that engage the lugs in the barrel extension. Also note that we use a bit of Loctite on the threads. So if you remove the barrel nut it is very important to clean all of the dried Loctite out of the threads on the barrel nut so you don’t risk cross threading during re-installation. It is also recommended to reapply a little red 262 Loctite to this area, and not exceed 30 foot pounds of torque when tightening the barrel nut. Our newest Catalog is now available! We took a stock Windham AR 10 and added free floating handguard, Seekins Precision compensator, AR 10 Timney trigger 4 pound pull, Vortex Viper scope. I own 2 AR rifles – a Windham Carbon Fiber and a Colt LE6920 socom M4A1 and love both of them. My Windham is intended to be my light weight carry AR combined with a light weight Nikon scope (P223 3 X 32). It is absolutely a tack driver at 50 yards with hardly ever missing outside the bulls eye on a B27 body target (roughly 1/2 inch grouping). At 100 yards it will shoot with my Colt as well and would do better with a more powerful scope like on the Colt. Don’t let the light weight carbon fiber fool you, it is a fantastic gun. I have considered selling my Colt and buying a Windham CDI – the 2 Windhams would be awesome. I have owned both for about 2 years so I understand them well. The Windham will shoot about any ammo but the Colt is a bit more picky. I solved that issue by reloading my own for better accuracy. Subject: AR15 ‘carbon fiber’ SRCI purchased a W.W. AR15 SRC ‘carbon fiber’ rifle in September. I purchased a ‘cheap’ 3Ã—9Ã—40 with ‘P4’ (similar to mil-dot) reticle, since I want to be able to hit targets, coyotes, etc. out to 300+ yards, but don’t really have the budget for the ‘VEX’ model. Last weekend was the first opportunity I had to take the rifle out. I think all of my friends are now finished criticizing my choice of firearm. I was told that the ‘plastic’ gun would break, would malfunction, would wear out, etc., but after sighting in the scope, even with 25+ mph crosswinds, I was still getting great results! I was using Fiocci 55gr FMJ and Remington 55gr FMJ ammo, but I’m in the process of stocking up on PMC 62gr FMJ, and will be reloading 55gr PSP, Hornady V-max 55gr, and will also try 75gr FMJ, although most people tell me that a 1:9 rate of twist on the barrel won’t stabilize the bullet, but if I always listened to what people say, I probably wouldn’t have bought a ‘carbon fiber’ rifle! 200 rounds through it, last Sunday, and not a hiccup! Even using a Brownell’s 30 round magazine without an anti-tilt follower, I still had no issues. Of course, I was also using the superb W.W. 30 round magazine (WITH the anti-tilt follower), and if I can continue to have these great results with this awesome rifle, I’ll be doing some YouTube videos next spring! Thank you, and the entire team, for building such a quality firearm at an AFFORDABLE price! I purchased an AR15 from MMA guns in Ira, VT about 6 months ago. I have to say I have a good collection of high end hunting rifles and was never a fan of the AR platform until now. I bought this as my son’s first deer rifle. The low recoil, lightweight design and adjust-ability of the stock made it ideal for my 8 year old son. I purchased a 243 win single shot rifle for him as well but after a summer full of shooting he was much more comfortable with the AR15. I topped the rifle with the Nikon 223 3-9 scope and a 5 round hunting magazine and the rifle was ready to go. The reliability is amazing and the quality of the rifle is excellent. With a bit of research I ended up getting the Remington “Hog hammer” 62gr barnes TSX factory load and on the second day of the Vermont youth season my son killed his first deer accompanied by his extremely proud father. The rifle and ammunition combo made a quick clean kill. I have attached some images of my son Finley with his deer (146lb, 6pt) and his rifle. I plan on getting him one of your rifles in .308 in a few years. Keep up the good work. reload quicker, clear jams more efficiently and eliminate unnecessary hand movements during various operations. Monolithic tri-steel technology gives the EBRv2/308 light weight and super strength. This unit has gone through a stringent 9 stage manufacturing process for dependability and durability, and is finished in satin black parkerization that meets mil spec MIL-STD-171 for small arms. 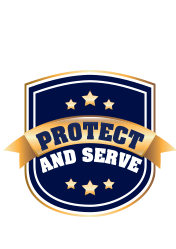 It is trusted by tactical trainers and law enforcement officers nationwide. The EBRv2/308 has no obstructing backing plates or screws that could fail, come loose or get in the way of other weapon systems. Overall Length: 2.15 inches / Weight: 23.2g. Shown here in 2 different angles for clarity. Made in the USA. With the holiday season upon us, things here at Windham Weaponry sure have picked up. We have been taking and filling orders as fast as we can. Show season is just around the corner and we will be attending Shot Show in Las Vegas again this year. We will be at the show from January 19th-22nd so if you are attending the show PLEASE come by booth 10376 to check out the NEW MCS (Multi Caliber System) as we will have samples in the booth. It’s an amazing rifle package that you won’t want to miss. 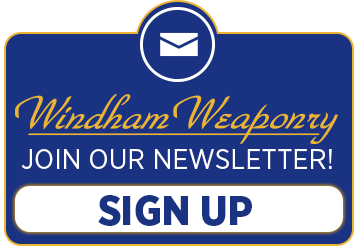 I know that things have picked up with gun sales around the country in light of what has been going on and I would like everyone to know that Windham Weaponry is committed to filling all Law Enforcement Agency orders in a timely fashion. So if you’ve been told that your department has to wait months to receive your rifles, please give me a call and we will take care of you. It’s hard to believe that 2015 is nearly over, but I would like to personally thank all of you out there for your support over the past 4 years.